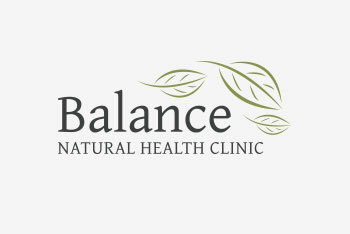 As the counsellor at Balance Natural Health Clinic, Niki is passionate about assisting people to find personal emotional wellness, balance and peace. Counselling sessions are available to provide a supportive, confidential and listening environment to provide space for you to voice your concerns, to allow you to feel heard, work through personal issues and life’s challenges. Niki is approachable, caring, organized, and focused on solving problems and finding solutions. Real and practical options will be explored that will make a difference. By encouraging clients to use their existing talents and strengths and incorporating new strategies and techniques, Niki’s goal is to help her clients find change that lasts. Niki offers counselling methods such as Solution Focused Therapy, Cognitive Behavioural Therapy (CBT), Problem Solving and Narrative Therapy. Niki operates from a strengths-based, systems and feminist perspective, looking at each individual within their personal situation. Niki’s clinical background is in working with individuals of all ages, with many life issues that span from prenatal to end of life. She has a background in the medical/health care field as a clinical social worker and works with individual adults, tweens and teens. Niki Knight is a Masters Level Social Worker, registered with the College of Social Work in British Columbia. Niki has been in the social work and counselling field for more than 20 years. She graduated in 1995 from the University of Victoria with a bachelor’s degree and completed her master’s degree in social work from UBC-Okanagan in 2010. She is a current member of the BC Association of Social Workers (www.bcasw.org). Niki enjoys an active lifestyle with family and friends—hiking, walking, running, boating, yoga, pilates, kettlebell, meditation and getting outdoors to enjoy all that the beautiful Okanagan Valley has to offer. Journal writing gives you a written record of your thoughts, experiences, and observations. You can write in your journal daily, or only when you feel the urge. It is there when you need it and can provide many surprising benefits. Are you thinking about your New Year’s Resolution? Here are some tips on how to make that resolution stick and stay motivated with those good intentions. A Counsellor is a healthcare profession dedicated to working with people to help identify, clarify and work through concerns that are impacting one’s emotional and psychological health. Individual sessions are available for adults and teens.